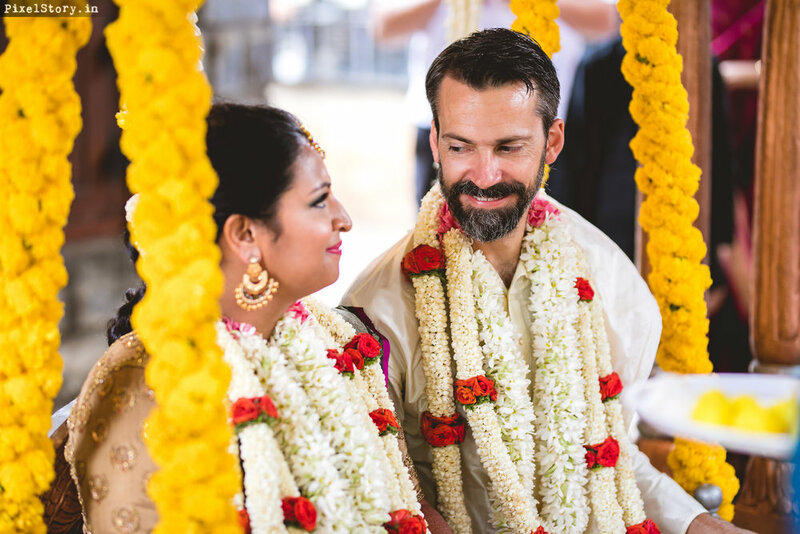 The simplicity and candour this wedding brought to its multicultural guests from all over the world was amazing. 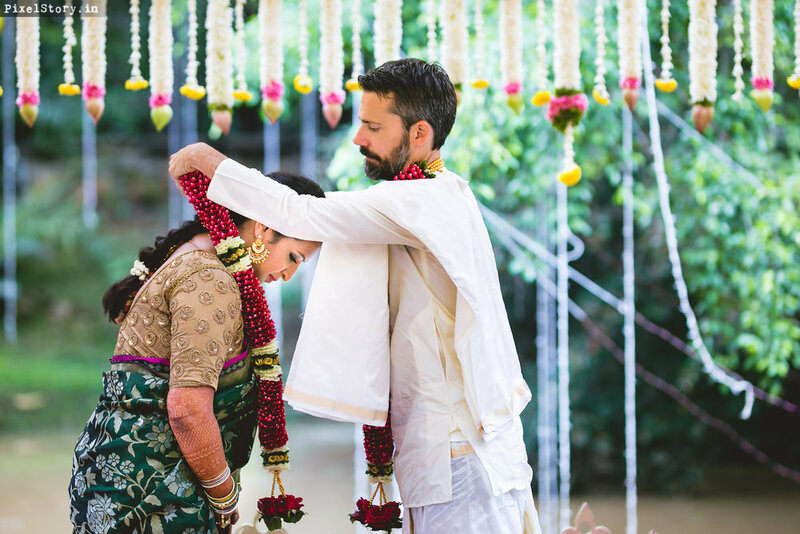 This pretty Anglo-Indian wedding with a blend of tamil traditions, oodles of colour and a melee of flowers got all those brownie points. 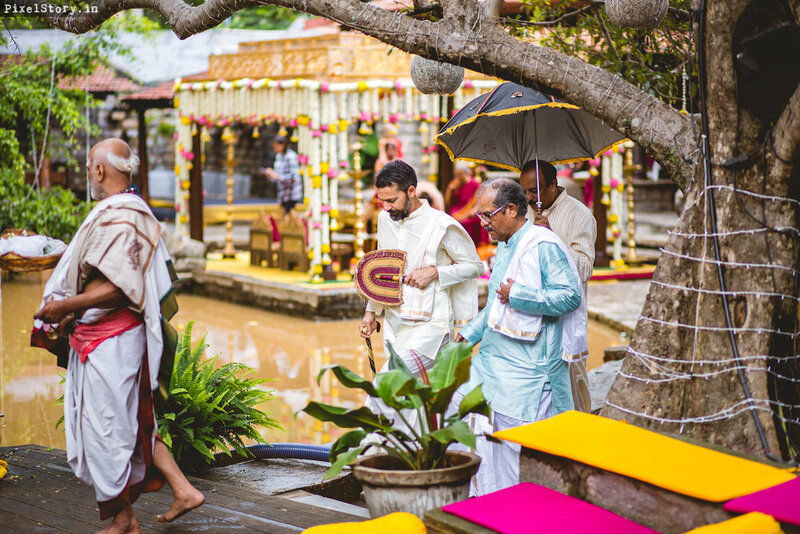 Right from the spectacular Stepwell venue Tamarind Tree, to the beautiful floral décor with a glamorous mandap, Rajasthani themed mehendi décor and Moroccan themed cocktail made this one memorable and sweet. “Niell and I met on a cold, February night at a friend's art show in Washington D.C. I was talking with my friend Roma and noticed that Niell kept looking over to us. When Roma excused herself to go to the bathroom, he came over and introduced himself. I thought he came over because he wanted to talk to Roma, but he actually wanted to talk to me! We chatted for a long time, and had a really nice time. He actually ended up walking me home that evening and when we said our goodbyes, he didn't ask for my number! I was too shy to ask for his, so I let it go. A week later, a letter arrived in the mail from him, asking me out to dinner! Turns out, he lived down the street from me”. Explains Anjana. 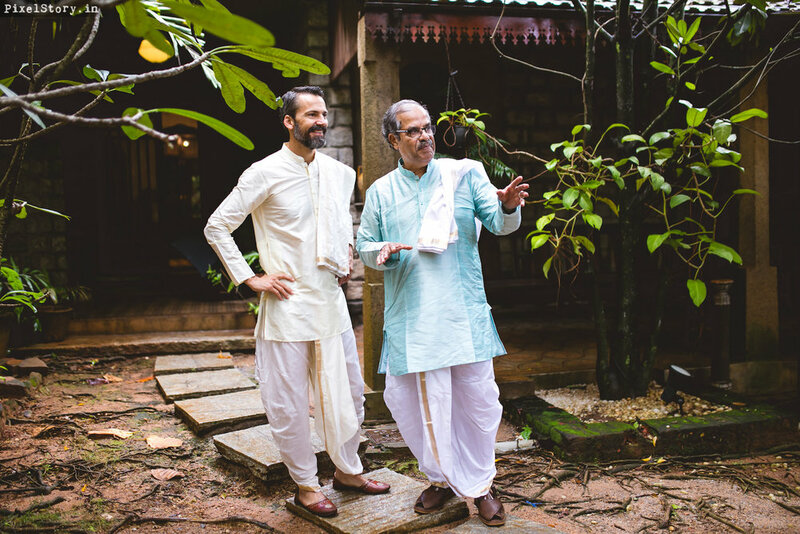 Wedding events and style: We had a mehendi the night before the wedding, followed by the wedding ceremony the next morning, and then the reception in the evening. 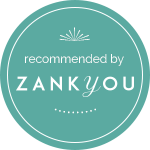 I would say that my personal style is pretty eclectic and bohemian, which I wanted that to be portrayed in the decor as well. 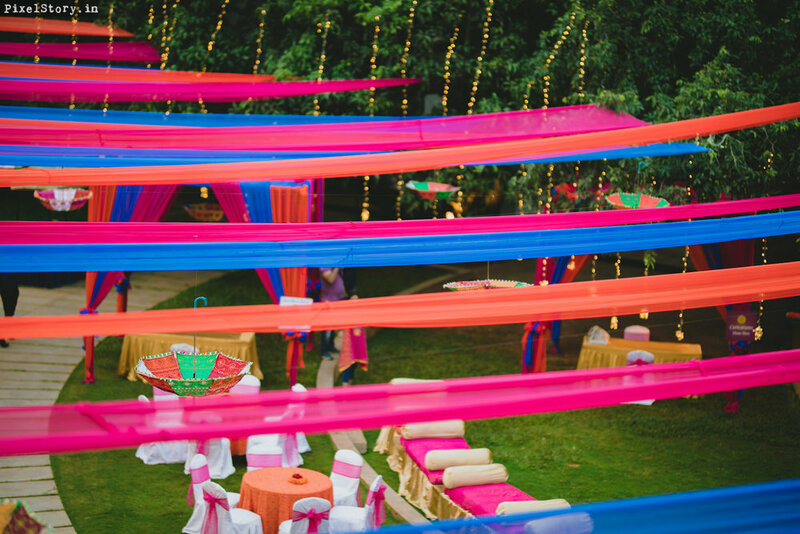 So we did a lot of the decor with flower garlands, and using the natural landscape of the the Tamarind Tree. 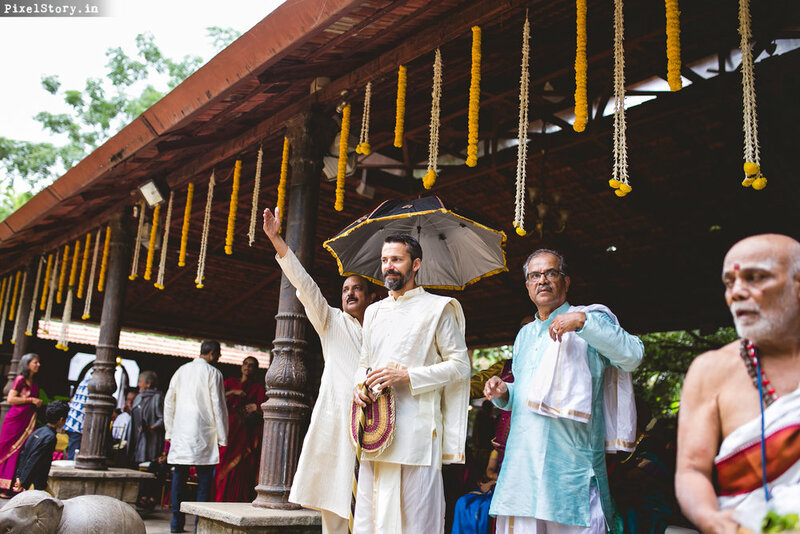 For the mehendi ceremony, I really wanted to be as colourful as possible and I love Rajasthani decor, so we incorporated a lot of mirror work umbrellas, bright pink drapes, and glittery lights. 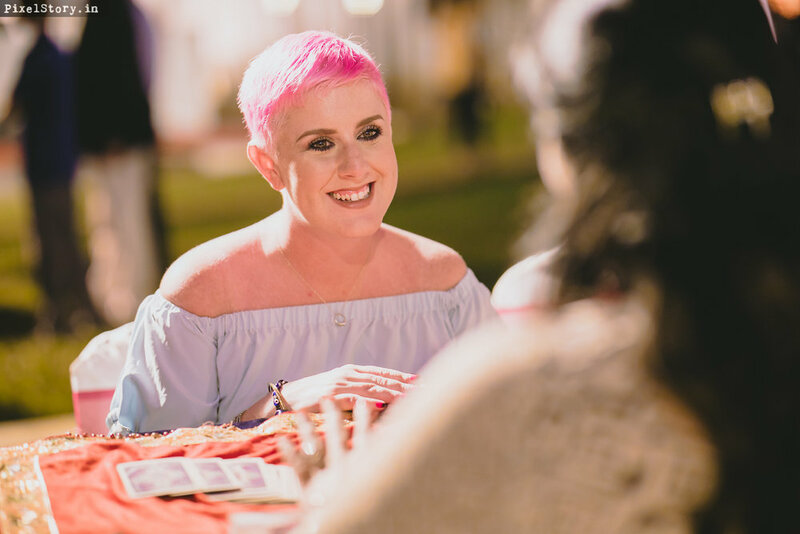 We had a tarot card reader, a singer, as well as a caricature artist in addition to all the mehendi artists. 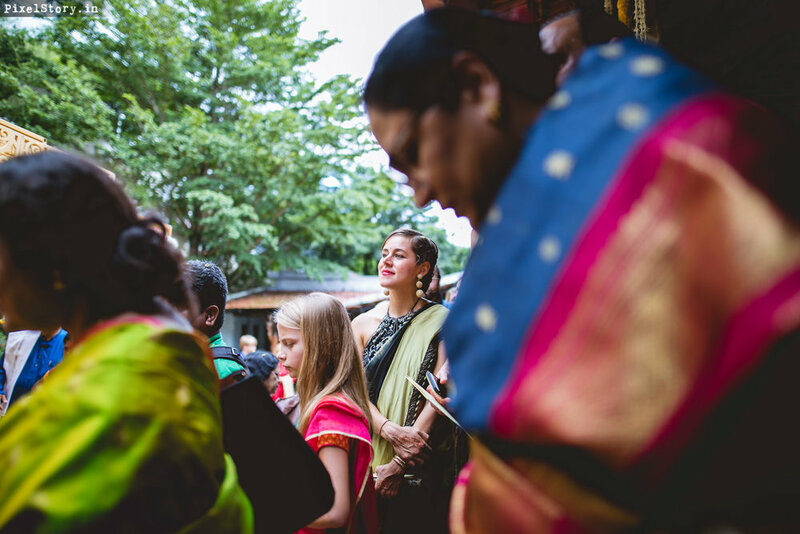 For the wedding ceremony we did a blend of traditions, mixing an Arya samaj approach with some of our Tamil south Indian rituals. The reception was moroccan themed, so a very romantic and bold background, with lots of candles, lush purple and blue fabrics and flowers, as well as traditional Moroccan hanging lanterns and lights. 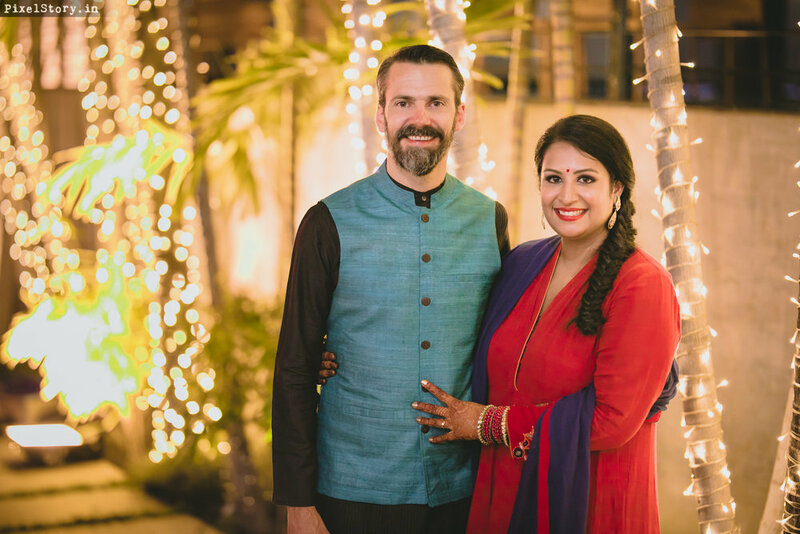 We invested our resources wisely we went with a really good caterer which was so important to us, as well as invested money on musical acts that we really enjoyed (singer for the mehendi and instrumental music for the ceremony). 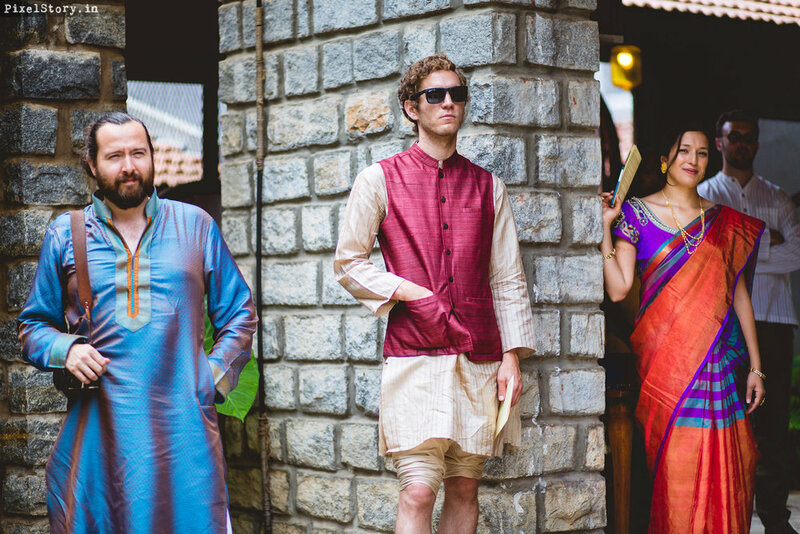 Wedding Outfits: For my outfits, being a south Indian bride, I knew that I would have to dress pretty traditionally for the ceremony. I found a beautiful gold and green Uppada sari at Gaurang Shah and fell in love. It was light-weight and festive. For my mehendi, I also went with a Gaurang Shah red Anarkali with heavy embroidery work on the cuffs and the bottom border. I felt like it would match the Rajasthani decor well. For the reception, I chose a pink, cream and green Ritu Kumar lehenga that had a lot of flower work on the skirt and looked very glamorous. 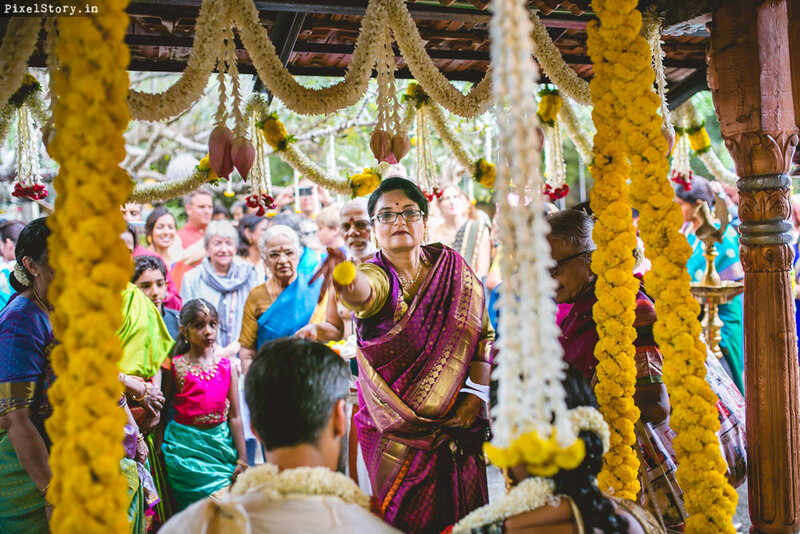 Best decision: The best decision we made was to hire Vithika as our wedding coordinator. 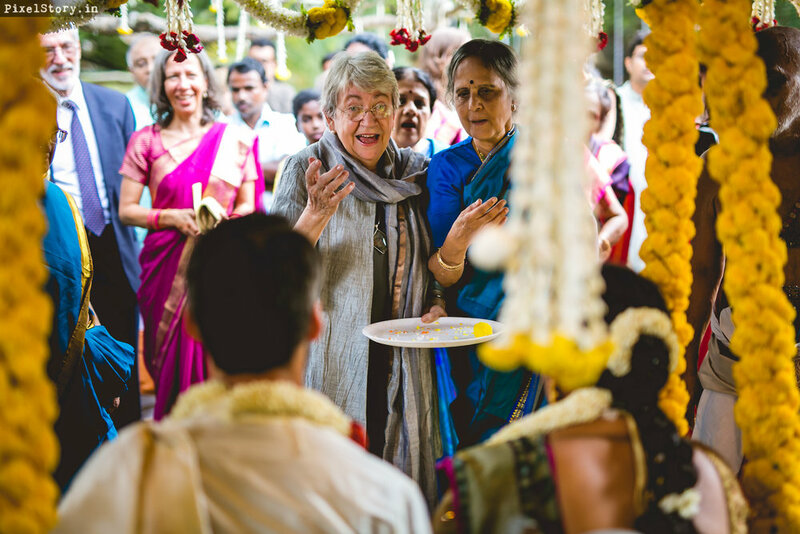 Because I live in the U.S. and my mother lives in Bangalore, and my in-laws are from Arkansas, we knew that coordinating a wedding together would be a logistical challenge. 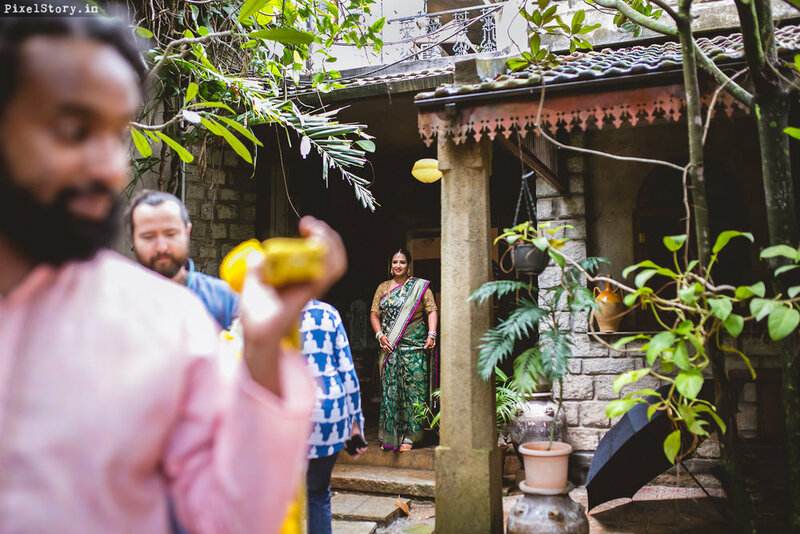 Vithika helped to bridge that logistical gap by linking us with vendors, doing venue-walk throughs, exploring different decors and styles, as well as helping to coordinate all guest logistics for my many foreign guests coming to India for the occasion. Thank-you note: Above all else, I would like to thank my mother and father, whose generosity, patience, kindness, support and love made all of this possible. I would also like to thanks Niell's mother and father, and his sister and cousin, who came all the way to join the festivities and were so encouraging, supportive and up for everything we threw at them. I am lucky to be joining their family. I would also love to thank my sister who helped coordinate all the little details and make sure I stayed calm and collected throughout all the chaos, she's amazing. 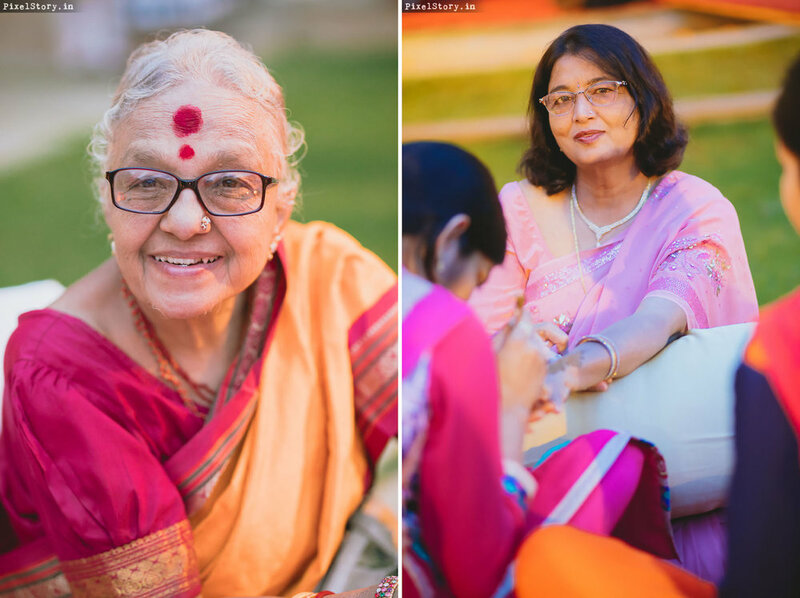 My grandmother, great aunt, aunts, cousins, uncles, etc made the wedding extremely special for me, particularly my grandmother who was so active, involved and excited throughout all of it, seeing her laugh and smile made the entire experience all the more worth it to me. 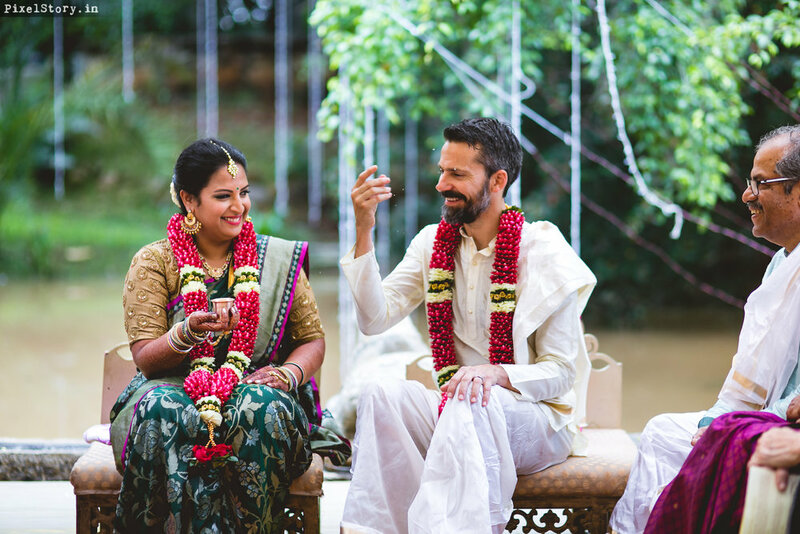 Our wedding planners Divya and Vithika really pulled off an exceptional event and dealt with all of my stressed out moments with grace and professionalism. 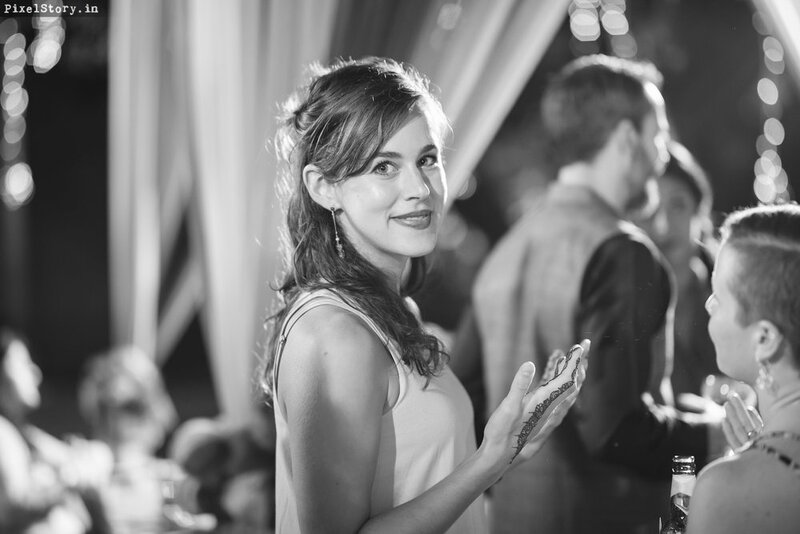 All of our other vendors, including the caterers, musicians, venue hosts, were all amazing to work with as well and we are so grateful that we were able to find them. 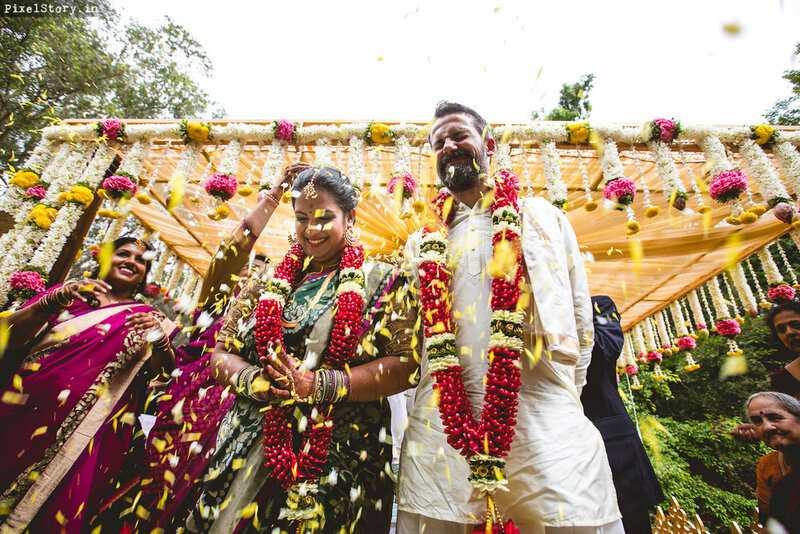 Also want to thank our wonderful wedding photographers Sudha and Mukesh as well, who helped capture the pure joy that we felt throughout. Lastly, I think Niell and I want to thank each other, there would have been no wedding if we both hadn't said yes! We're excited for what the future holds for us. Advice for to-be brides: Don't put so much pressure on yourself to be perfect. 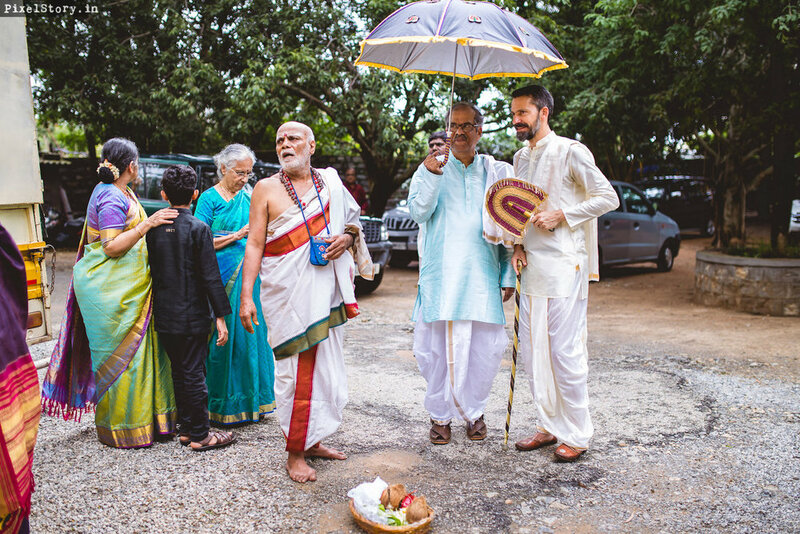 The people who show up to your wedding love you and want you to be happy and don't care about all the details that you are so concerned about. Also find time to show how grateful you are to all the people who helped make this day happen, because it goes quickly. 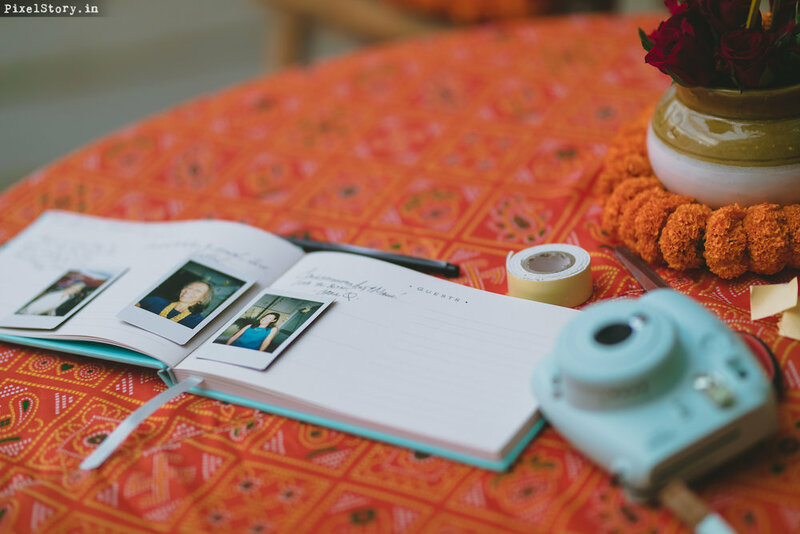 If you are lucky enough to have any living grandparents or other close elder alive for your wedding, spend a lot of time with them, you'll be grateful you did!